CP Cases proudly sponsored the Chiswick Invasion fundraiser for the Nordoff Robbins Therapy Centre on 29th March. 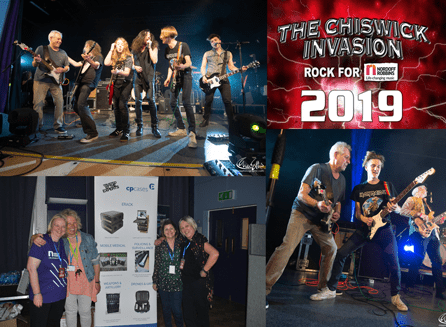 Groups of musicians banded together to raise money for the charity who celebrate the connection and joy music can bring to those with life-limiting illnesses, physical disabilities or emotional challenges. Our very own CEO, Peter Ross joined in the festivities and Iron Maiden were kind enough to join in celebrations by donating to the raffle! What a fantastic evening was had by all!